Liveaboard diving is considered by many experienced divers the best way to enjoy dive vacations. Sometimes jumping aboard a dive safari is the only way to reach remote areas like Cocos Islands in Costa Rica or the Similan Islands in Thailand. Other times, dive charters allow you to explore vast areas and dive different parts of a country, like in the Maldives or in Raja Ampat. It can be called liveaboard, dive safari or dive charter, but what is it exactly? A liveaboard is a scuba diving purposely-build boat, or an adapted existing vessel that offers diving trips that usually last longer than one night. The average duration is 7 nights but you can find both shorter and longer trips. Usually the dive boats host between 12 and 30 divers but event here you can find both smaller and larger vessel. In most of the cases the diving, as well as the food and drinks, are included in the price of the trip and most of the liveaboards range between $1,000 to $2,000 per trip. The boats offer comfortable diving deck where you can prepare you equipment and usually they have one, two or more tenders to take divers from and to the dive sites. Not every dive destination is a liveaboard destination. In some countries, liveaboards simply don’t exist. In others, dive charters may not be the best option you have. This is a list of the best liveaboard destinations worldwide. There are some reasons why experienced divers prefer to dive from a diving boat rather than staying at a land-based accommodation. Let’s go through them. Some of the world's best dive locations are far from the coast and can only be reached by Liveaboard. For example all the big shark destinations in the Pacific: Socorro (Mexico), Cocos (Costa Rica), Gualapagos (Ecuador). Even when you can go to a resort, you’re quite limited by the range local dive boats can travel. This fact can dramatically diminish the number of accessible dive sites. With a liveaboard, you’ll explore a much bigger area and you’ll be diving in the best dive sites the whole area has to offer, not just the ones you can reach from shore. With a land-based dive operator, you can usually do a maximum of 3 dives a day (4 with some rare exceptions). When you dive from a dive safari, usually the minimum number of dives per day is 3, but often you’ll be diving 5 times each day. On most of the liveaboards, you prepare your equipment on the first day and disassemble it on the last one. There’s no need to prepare your BCD for each dive and no need to carry your equipment around. As the PADI motto states, “Go Places, Meet People, Do Things.” Diving is not only about diving, but it’s also about meeting people and exploring new places. Dive safaris occur in quite confined areas where it is very easy to meet new people and make new friends. It wouldn’t be fair to just list all the positive parts of liveaboard diving. Of course, there are a couple of negatives as well. Well that really explains itself. If you are prone to seasickness, a dive safari is probably not the best place to spend your next 7 days. While it’s great to meet new people on a liveaboard, it also may happen that you get unlucky. Even though almost all divers are cool people, sometimes you might get a not-so-nice group of divers on the boat. Unfortunately, there aren’t many places to escape on a liveaboard. Now that you know more about what you’re likely to find on a dive safari lets see what kind of boats are out there and which one to choose. These dive boats are usually the local, wooden ones. Gorgeous and stylish, they are great options especially when you sail in Asia. Even if the wood can get a bit noisy, the experience of diving from one of these sailing boats is memorable. Good examples of this kind of boat are the Indo Siren and the Cuan Law. More than a type of boat, this is the way the service is handled. On these boutique liveaboards, you’ll get pampered like a king. Expect 5-star accommodation with gourmet food and personalized service. Good examples of this kind of boat are the Majestic Explorer and the Scubaspa Yang. Many liveaboards around the world are owned and operated by independent providers, but there are some fleets that have boats spread around the globe. These boats are owned by the corporation or franchised by an independent operator. The benefit of choosing one of these fleet ships is that you’re likely to get the same standard of service and safety around the world. 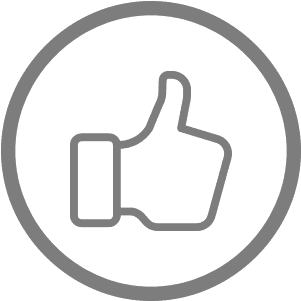 On the other hand, picking a local provider could give you the level of personalisation and new adventure you were looking for. This is definitely the most famous liveaboard fleet out there. 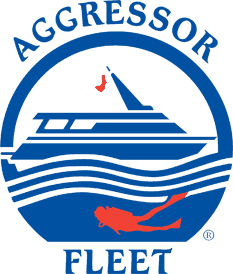 Operating for more than 30 years and serving in more than 30 destinations worldwide, the Aggressor Fleet is a safe bet for your next liveaboard vacation. 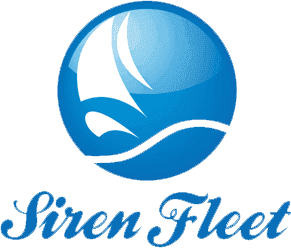 The whole Siren Fleet is composed of stunning motorsailer boats and features diving destinations such as Fiji, Indonesia, Palau and the Philippines. Based in the Red Sea, the Emperor Fleet operates 8 liveaboards from northern safaris to the southern destinations like Brothers, St. Johns and Daedalus. What Should I bring on My Liveaboard Trip? Two wetsuits and 2 or 3 swimsuits - You’ll be diving so frequently that one won’t dry out in time for the next dive. A jacket - Even in the tropics, the night air and air conditioning can get chilly. Chargers and extra batteries for camera equipment - If all the plugs are taken, you want to make sure you have a backup battery. A small extension cord - Plugs on liveaboards are often inconveniently placed for sitting with your laptop. An external hard drive - You’ll definitely want to backup your photos and share them with the other guests, too. Seasickness medicine - If you’re prone to seasickness, packing some preventative medicine is a must. Sun protection - A hat and reef-safe sunscreen are necessities. Collapsible luggage - Space in liveaboard cabins can be tight. Having collapsible or soft-sided luggage is best for small quarters. What Shouldn’t I Bring with Me? Too many clothes - You’ll be diving most of the time. Too many shoes - Most boats have a “no shoes” policy. Too many electronics - Liveaboards tend to have enough entertainment options of their own. I am Travelling Alone - Will I Have to Share a Cabin? Many liveaboards have two options. You can pay the single supplement and have a private cabin. Or you can ask the liveaboard operator to pair you with another single diver so that you don’t have to pay the additional fee. It depends on the boat. Many liveaboards now feature en-suite bathrooms, but some of the more budget options have communal bathrooms. Can I put My Valuables in a Safety Deposit Box? Most liveaboard boats have a small safety deposit box that guests can use. However, don’t expect to store larger items. Do I Dive From the Boat’s Platform or From Tenders? Again, this depends on the boats. Most liveaboards utilize small dive tenders to make diving easier and to protect vulnerable marine environments. However, some liveaboards are small enough that it’s easy to just jump right in without worrying about boarding a second boat. Tipping is never required, but most liveaboards encourage the practice. It’s common to give a tip of 5-10% of the liveaboard price at the end of the trip. Should I Prepare for Seasickness? In short, yes. If you know you are prone to seasickness, it’s a good idea to carry medicine for any boat journey. Can I Complete a Dive Course on Board? Yes, many liveaboards offer a range of courses. Just be sure to book this ahead of departure and bring along proof of your previous certifications. Most liveaboards serve a variety of freshly prepared meals to reflect both Western and local cuisines. You can expect buffets, table service and snacks between dives. Let your liveaboard operator know in advance so that they can prepare for your needs. This depends on the liveaboard. Some include a full range of alcohol while others only offer a limited selection of beer and wine. Other boats don’t include any alcohol in the price.